The cell phone boom makes the public telephones needless. You can barely find any. In most of the phone boxes - if you find one - you can pay with coins. You can't get back a current balance of coins that is not used by the end of the call. If you prefer to make phone calls with a telephone card (tarjeta) you can buy those in varying sums of money in tobacco shops and newsagents. Cell phones work within the whole city zone without any problems. Also you can make phone calls with a cell phone in most of the metro stations and trains. In locutorios (telephone shops), you pay at the end of the conversation in cash. These phone shops can be found in the whole city zone and there are a lot in the Raval district. Most of the time there is internet accessible also. Most of those telephone shops are used by immigrants who want to call home for a favourable price. Spanish phone numbers always have nine digits and don't have a dialling code. A leading 0 no longer exists. What used to be the dialling code for Barcelona (93) is now part of every phone number and always has to be dialed. Spanish cell phone numbers start with a 6. 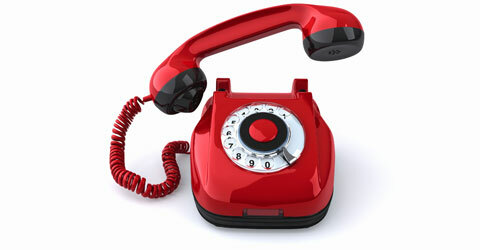 Landline numbers start with an 8 or a 9. Pay attention to special numbers: 800/900 is at no charge, numbers that start with 803, 806, 807 and 809 partially are expensive special phone numbers; for numbers that start with 901 and 902, the cost usually gets split up between the dialer and the receiver of the call. The charges for a phone call with a foreign cell phone in Spain are limited now because of the third Roaming EU Regulation from July 1rst in 2012. Starting from 7/1/2014 an outgoing call can cost 19 cent (plus VAT) per minute at the maximum and an incoming call can only cost 5 cent (plus VAT) per minute. As the Roaming Regulation does not count for countries outside the EU (Swizzerland, USA), there are different charges for swiss mobile operators. Making phone calls in a car without hands-free devices is prohibited. Dial the area dialling code without the leading 0.